This fully responsive Construction Joomla Template will help you to create a fresh and modern website for your business. Make a fast and reliable website for your construction company that works on all types of devices. This template has a distinctive design, it's fast, easy to use and simple to customize. You can create a fully-functional website without any programming skills. Choose among many different layouts to customize your theme to make it look really unique. 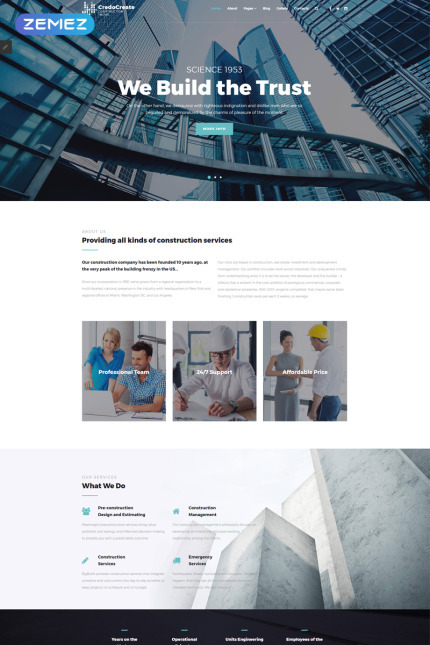 This Construction Joomla Template was created using a clean and elegant design with close attention to details. It has a nice appearance and offers huge options for customizing the template parameters.